The day after Thanksgiving, Christmas cards start arriving in the mail. Yippee! For those of us at Pear Tree, this marks the beginning of the most wonderful time of the year. We love seeing who got their cards done early, who included photos in their cards and who didn’t. We love choosing favorites—we even love reading the Christmas letters! Of course, if you know us, you know we’re all about sharing. Figuring out how to display Christmas cards is a tradition we never pass up. We also enjoy going to other people’s houses and seeing the cards they receive and how they display them. 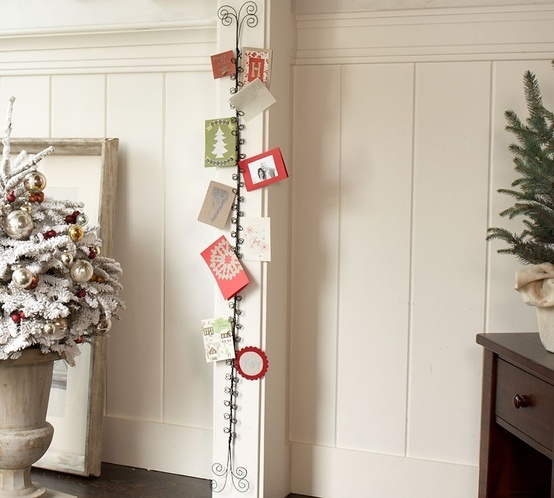 There are plenty of Christmas card display ideas out there, but no matter how you do it, a Christmas card display can be a colorful and inexpensive way to add to the Christmas décor in your house. Most displays are pretty simple DIY projects. Some people simply tape them to their fridge, wall or door. 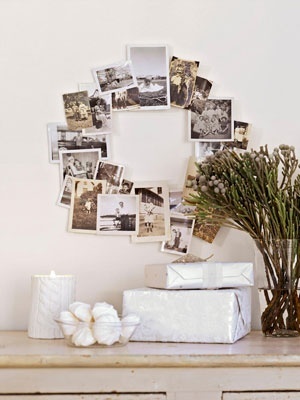 Others string them from ribbons or hang them in various ways from garland, ribbon or string. One of our team members sets them on the branches of her Christmas tree. Check out our Pinterest page for more creative ideas! 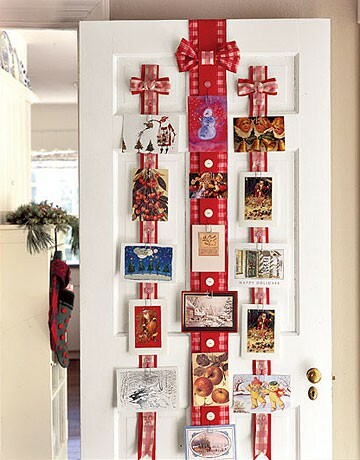 Do you have any creative ideas for how to display Christmas cards that you’d like to share? We’d love to hear yours! And if you haven’t ordered your Christmas cards yet, better get busy!